When news comes to us in a constant stream of social media feeds, and the remotest corners of the planet are scrutinised by the watchful eye of the thousands of satellites orbiting Earth, it takes a modern-day adventurer to head out à la Indiana Jones with nothing but their wits and a few simple accoutrements. Their go-it-alone spirit is possibly what endears them to us. We’ve all rooted for Henry Walton “Indiana” Jones Jr., the unforgettable hero imagined by George Lucas and brought to the screen by Steven Spielberg. Born in 1899, his expedition in 1927 in search of the resting place of Noah’s Ark on Mount Ararat singled him out as archaeology’s most intrepid, most erudite representative. Did TAG Heuer’s management have “Indy” in mind when creating the new Autavia, the first brick in a collection destined to become a pillar of the brand? It certainly has the look, even if Jack Heuer did imagine the original chrono in 1962, a decade after Dr. Jones had hung up his whip and fedora for good. The new Autavia draws readily on its vintage heritage, a segment TAG Heuer had thus far left unexplored with the one exception of the square-cased Monaco, a design too distinctive to satisfy the criteria of the ongoing neo-retro trend, despite turning 50 this year. 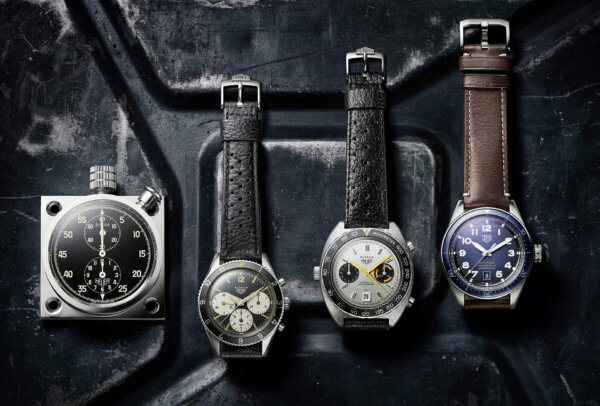 Joining the ranks of the Carrera, Formula 1 and Aquaracer in a sporting register, TAG Heuer thus presents this new tool watch which it promises is “ready for a life of adventure” - no surprise considering the Autavia started out as a dashboard instrument in racing cars and aircraft, manufactured between 1933 and 1957. It wasn’t until 1962 that Autavia became the name of Heuer’s first chronograph, appreciated for its reliability, legibility and rotating bezel. Production ceased in 1985, but you can’t keep a good watch down. Three years ago, the brand launched an online vote to choose which of 16 first-generation Autavia would make a comeback. The winner, the Rindt Autavia from 1966, was subsequently reissued as a limited edition that debuted at Baselworld 2017. 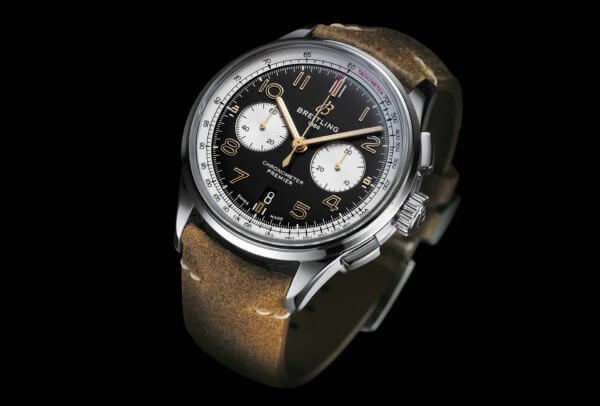 Breitling has followed a similar line of thought. When Georges Kern took the driver’s seat just short of two years ago, his first priority was to give the collections a thorough makeover. Because the best solutions are often right under our nose, Kern went hunting for inspiration in the brand’s archives and its longstanding ties with aviation. 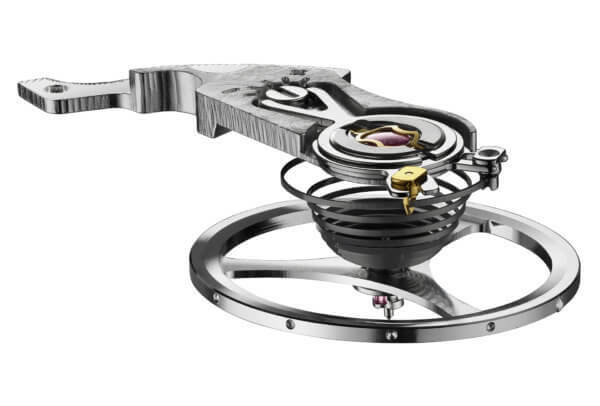 Accordingly, the first collection under Kern’s stewardship, the Navitimer 8, references the Huit (“eight”) Aviation Department that Breitling set up in 1938 to make cockpit instruments and pilot’s watches for military and civil aviation. A couple of months later, the new CEO was presenting the first five models in the Premier range, based on and named after watches launched in the 1940s. The new range, which marks a shift from Breitling’s more usual sporty register, is described as being “dedicated to everyday elegance.” Presumably, this habitual elegance doesn’t rule out a sense of adventure as the brand has chosen the Premier to carry on its partnership with the British motorbike manufacturer, Norton. The Premier Norton Edition that was unveiled at Baselworld is a blend of style and performance, when style means a definite vintage-inspired look. There’s a lot to link the two. Breitling was established in 1884, Norton in 1898, and both have featured in James Bond movies: Her Majesty’s most debonair secret agent wore a Breitling Top Time in Thunderball (1965) and rode a Norton Dominator SS in Spectre (2015). Reflecting this fast-paced environment, the Premier Norton Edition chronograph is impeccably powered by the in-house B01 movement, ready to race astride a Norton Commando 961 Café Racer MKII; a special, limited edition bike with Breitling-designed speedometer and tachometer dials.